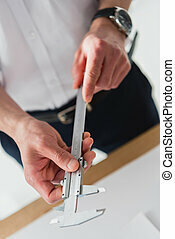 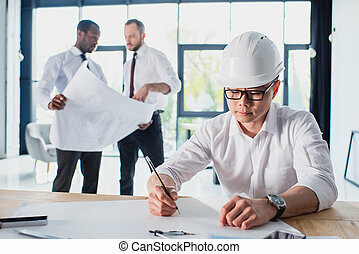 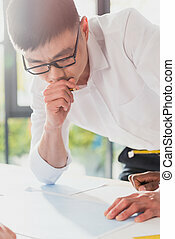 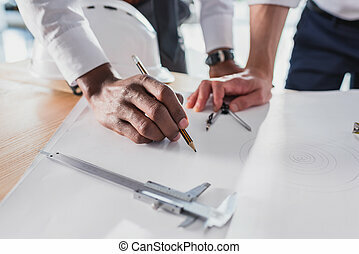 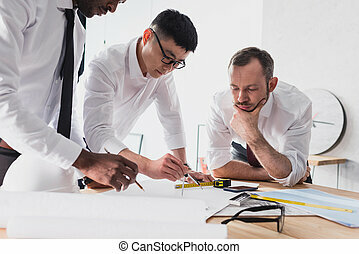 Architect working on new project with colleagues behind in modern office. 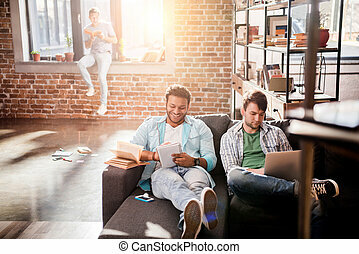 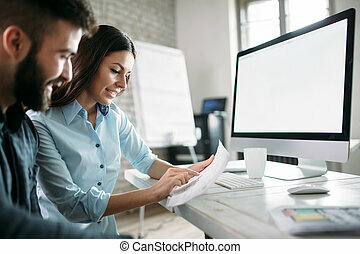 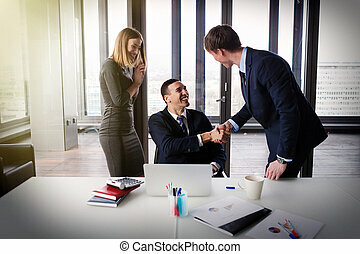 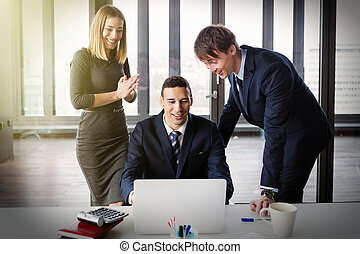 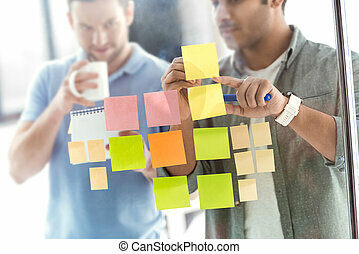 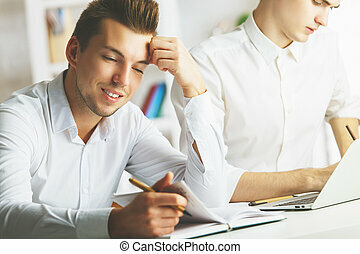 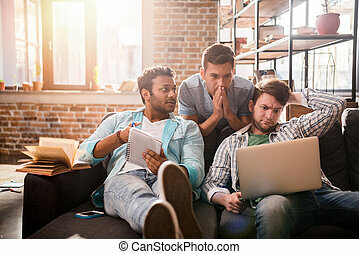 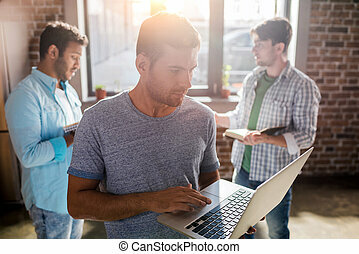 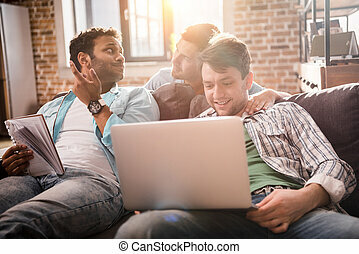 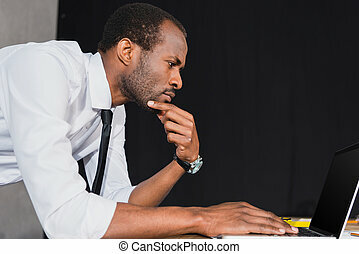 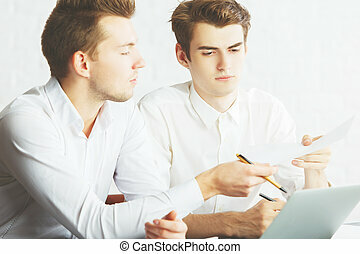 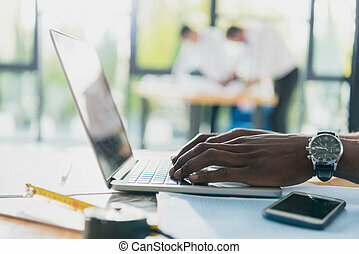 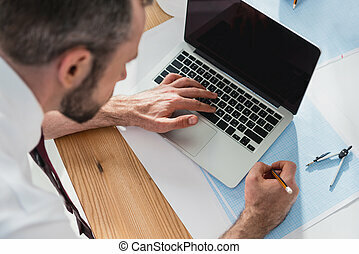 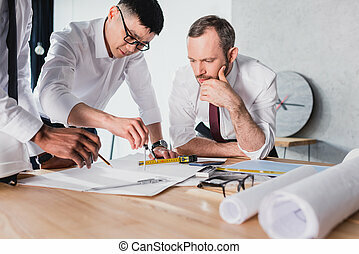 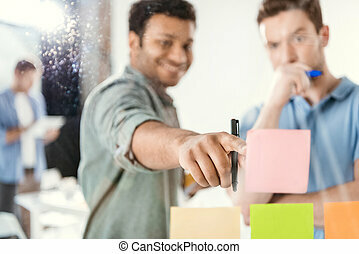 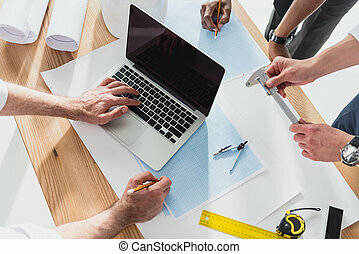 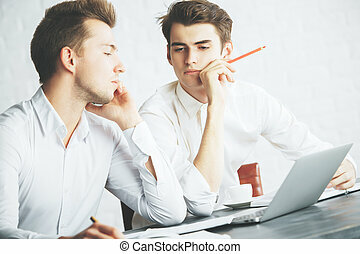 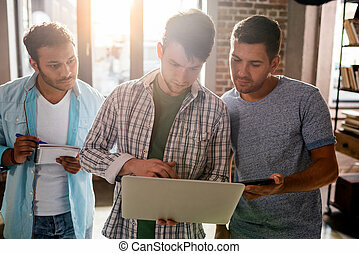 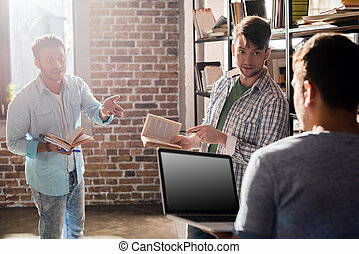 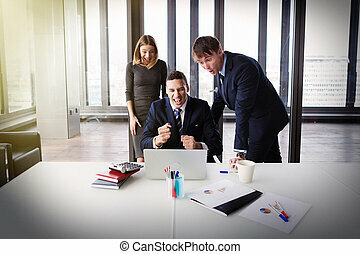 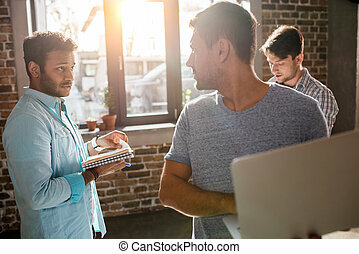 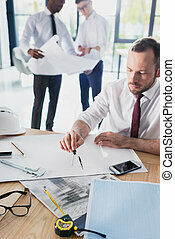 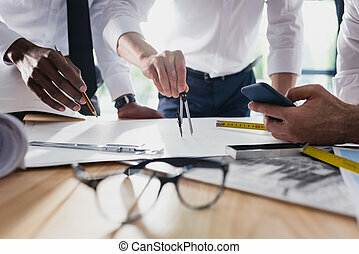 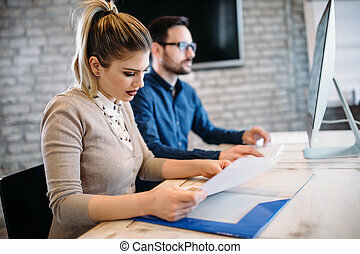 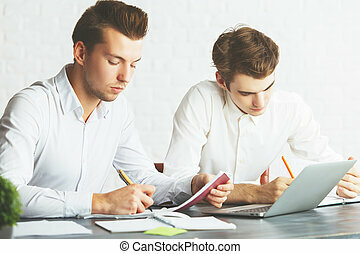 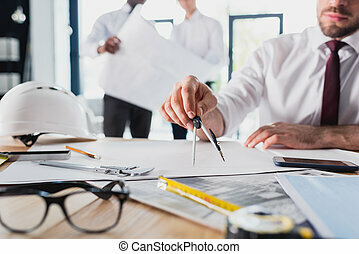 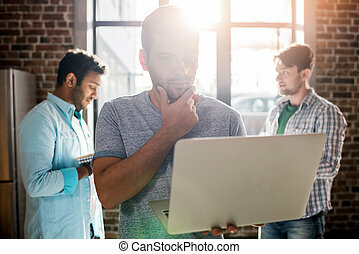 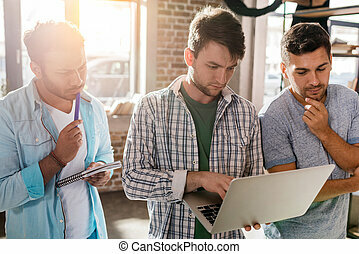 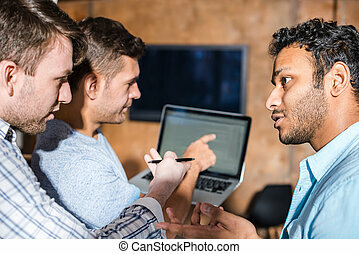 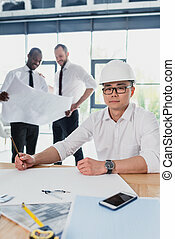 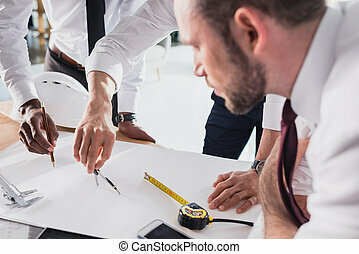 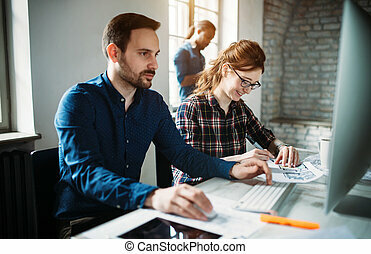 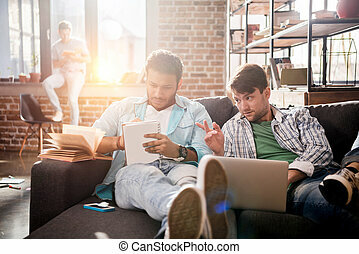 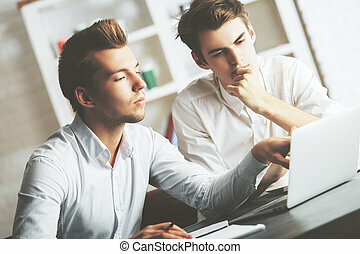 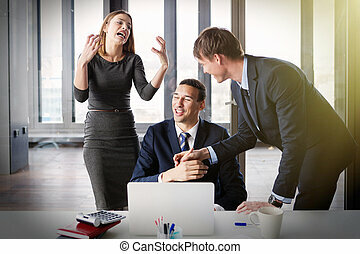 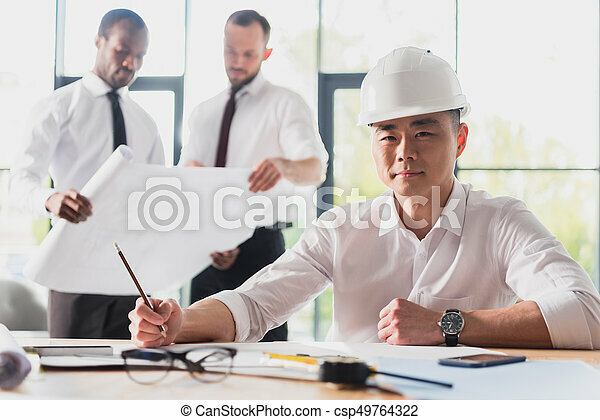 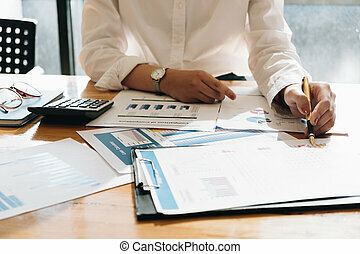 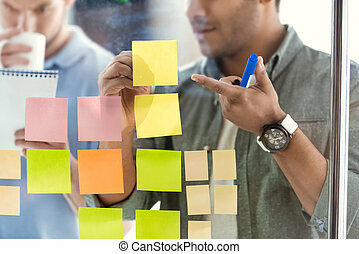 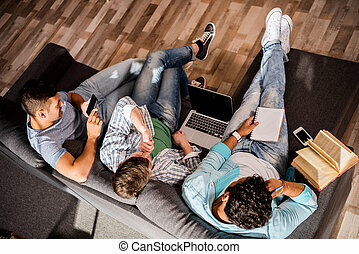 Excited business people in modern office working on project. 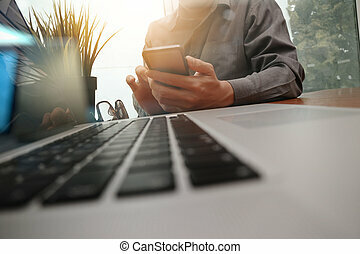 Post processed with film and sun filter.